A review of The Construction Of Gendered Subjectivities Of Female Broadcast Professionals Within TRT (1964 – 1989), by Özlem Akkaya. 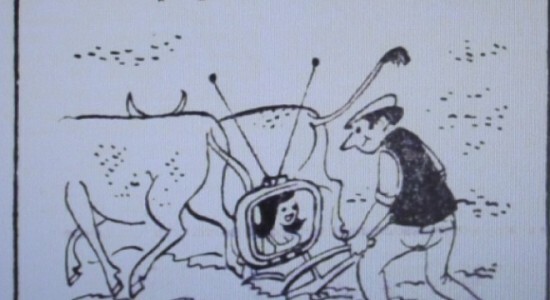 Özlem Akkaya’s PhD dissertation entitled “The Construction of Gendered Subjectivities of Female Broadcast Professionals within TRT” offers an interesting insight into female broadcast professionals of national state-owned TV channel of Turkey from its establishment (1964) until the time private TV channels start operating in Turkey (1989). The central focus of research is the gendered subjectivities of those professionals and the work is benefited from rich data conducted from the professionals themselves, through in-depth interviews. The research also uses autobiographies, memoirs, and journals of former female professionals of TRT, in addition to interviews and archives of TRT. Akkaya’s dissertation presents rich knowledge of the media in Turkey and carefully lays out the connections between the work itself and a larger literature of cultural and media studies. I would also be interested in hearing about Akkaya’s work in relation to two other prominent feminists from media studies, Tania Modleski and Lila Abu-Lughod, especially during the part where she was discussing the early works of feminist media critics and particularly those on soap operas (p. 28). The author offers series of questions as central to her work, most of which are around the question of “professional” life (pp. 2-3). As the dissertation moves on, the author also raises – and addresses – the questions about the public-ness of working in a national TV channel and the contradictions and contestations it may bring to a woman’s life, living in a society where women’s bodies are objectified through discourses on sacredness and secrecy. Despite the difficulty such a task bears, these questions are elaborated, quite skillfully, during the dissertation. Another strength of the dissertation was its ability to take the reader into the realms of senses and the ways in which cultural and social dynamics regarding women’s sexuality are easily troubled by senses. In her discussion on female voice (p. 118), Akkaya brilliantly introduces the multiple troubles, “anxieties” in her terms, are created when women’s voice are transmitted over radio “speaking authoritatively instead of singing or entertaining on radio” (ibid). The dissertation is composed of seven chapters, including the introduction and the conclusion and it starts with a background on the development of media and women in professions in Turkey and with an overview of the literature on feminist media studies. The other five chapters are distributed by decades (until 60s, during 60s, during 70s, and during 80s), in chronological order. Such an organization is quite informative to be able to see the chronological changes and shifts towards the “official” discourses on women’s public-ness, and the ways in which women have conversed with those changing and shifting discourses. It is important to keep in mind that in a country where military coups have interrupted the democracy in every 10 years and used the state-owned media channels to propagate the official ideology, perspective and discourses on a range of matters, a chronological analysis needs to be divided based on those military interventions, which is what Akkaya understandably did. Chapter 2, which follows the introduction as chapter 1, focuses on the transition from republican ideology on women in terms of their ideological as well as presentational value to their professional presence on air, as radio professionals until mid-1960s. It provides an insightful background regarding the affective milieu of pre-televised broadcast. The emotional aspect of professional educated women during that time and their aspirations, are especially invaluable to read, which also continues during Chapter 3 and Chapter 4. Chapter 5 takes a twist and starts with a gripping quote from a Turkish female author, journalist, and play writer Nezihe Araz: “Happy women… (…) Even abundant happiness is too much, especially in these days when real happiness is experienced drop by drop… That is to say, I am not one of those happy women; I cannot be one” (p. 240). In my reading, one of the most striking aspects of this dissertation, also the strongest characteristic of it, is its depth in laying out “women’s perspectives” that are, despite the visibility of women themselves on national TV channel(s), often left unexplored. Akkaya goes beyond a mere sociological analysis with her engaging analysis of women’s narratives and provides the emotional, affective, and sentimental aspects being a professional educated woman in post-50s of Turkey as well as the multiple way through which women manifest their subjecthood. In fact, this sort of approach reflects a particular genre in post-structuralist feminist theory, especially in subjectivity studies, that suggests looking at the multiple subject (as opposed to single) positioning when studying women’s subjectivities. In this vein, Akkaya’s focus on multiple tensions becomes especially visible in her discussion on professional identity, gender roles, and masculinity of the workspace (pp. 53-58). Indeed, upon the confusing, conflicting, and contradicting demands of the multiple patriarchal demands operating on female broadcast professionals, in their everyday life, the female professionals maneuver through those demands, pitching from enlightening the society as a patriotic duty (p. 54) into familial roles as mothers and wives and aesthetic demands of broadcast profession (pp. 90-91). Thus, these multiple demands are also often conflicting in and of themselves as perspicuously put by Akkaya. For instance, the particular profession on media is, in Akkaya’s words, “a site of conflict and contestation among different actors” (p. 29). This contestation, as Akkaya put intriguingly, is further complicated with the particular masculine position attributed to radio in early years of its appearance in households (p. 59). During the dissertation, Akkaya keeps playing out the tension between the femininity and masculinity as it is played out in everyday life of Turkey, and in this particular profession of media women are involved in. Akkaya’s approach on “masculinity”, in my view, deserves further attention especially during times when masculinity studies in the Middle East in general, and in Turkey in particular, is in rise. On another example, from page 202 to 207, Akkaya points out the tension between the newsroom as “a bastion of masculinity” (p. 202) in her words, and the female professionals working there. This tension is present not only between the male chiefs and the female staff members working there, but also in the way female professionals avoid addressing the tension. Ü.G. describes the “equality” in newsrooms on pages 204 and 205: “women were so equal that they had neither advantages nor disadvantages” and then, she also admits that men in the newsroom considered women incompetent (p. 205). And just as we read more, in the mouth of another interlocutor, İ.Ç., the masculine face reveals itself more clearly. By taking a “paternal” role, taking permission from a particular sexuality culture in Turkey, male chiefs patronize women. In sum, Akkaya’s dissertation is a valuable contribution to the studies on media and gender in Turkey, as well as the Middle East. It also offers a pleasant read, with Akkaya’s articulate analysis and discussion. Boğaziçi University, 2013, 455 pp. Primary Advisor: Dr. Duygu Köksal. Image: Archive of Cumhuriyet (April 9, 1973).